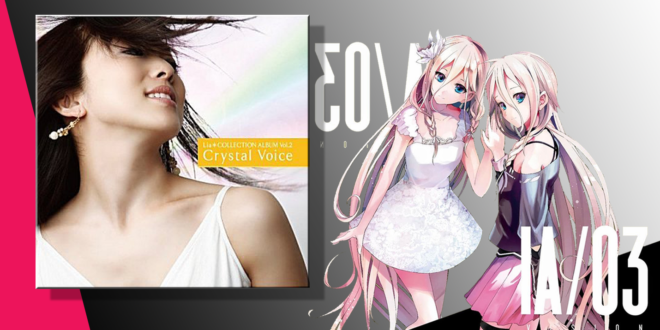 Home / News / Merchandise / IA/03 VISION and Lia COLLECTION ALBUM Vol.2 [Crystal Voice] Review! Recently, I (Monds) received a copy of IA/03 VISION and Lia COLLECTION ALBUM Vol.2 [Crystal Voice], both of which are well worth a review. 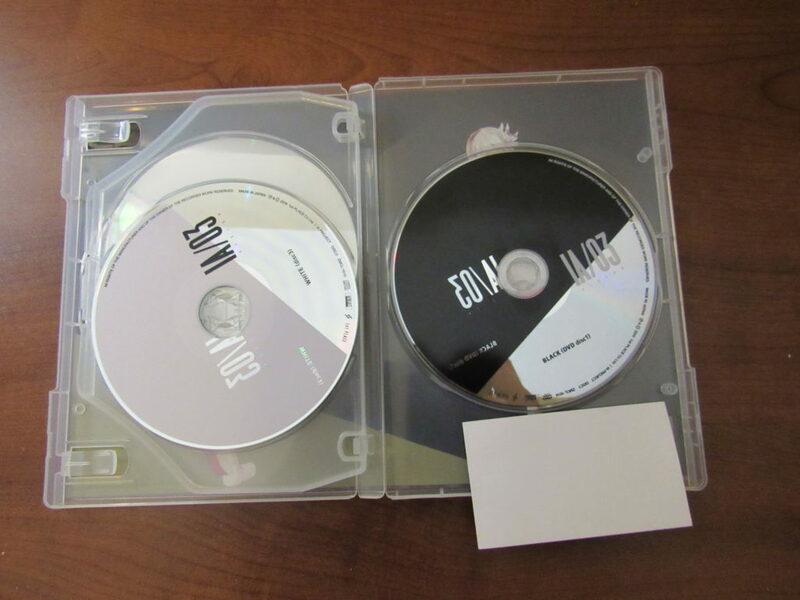 Since IA’s album consists of three CDs and a DVD, and Lia’s album consists of two CDs, I will go over them one by one. Let me begin by saying that if you are an IA fan, then this album is a must-have no matter where you find it. It is jam-packed with some of the greatest IA songs out there. To top it off, each CD offers a different style that is bound to please anyone no matter what style of music you enjoy. It also has a very nice glossy box… we all love those! The songs included on this disc are more fast-paced and have some great bass to add to it. As someone who is a fan of faster songs, this disc is the one I find myself listening to the most. Not only that but also it doesn’t stick to one style either; it is quite varied from one song to the next. Some of the songs on the album such as “We gotta run” and “Shooting Star” were among the songs I already enjoyed. However, I found myself discovering and enjoying others too, such as “キメラ” and “Waiting for…“, as these songs are up-beat with some nice pounding bass. I recommend listening to this disc with a nice set of headphones or some great speakers with a subwoofer or two for the best experience. Don’t be afraid to turn up the bass on this one! I found myself listening to this disc many times over. This disc seems to be more geared towards soft rock/hard rock songs, in which case I also enjoy quite a bit, so I would consider this one to be second of the three. This album includes songs such as “Inner Arts“, which is more of a mid-rock song, and “ZERO BLADE“, which is a heavier song. Don’t worry if heavier is not your thing, since there is a mix of softer songs for those of you who think the others may have too much going on, like “空奏ファンタジア“. To add to the spice, the last song “サンタクロースのバカヤロウ” is more or less a Christmas song with “Merry Christmas” being said at the beginning. Although, I say more or less since the song is not as much of a happy-go-lucky song like your typical Christmas carol. Not bad by any means, just an interesting twist. For all you “Vocarock” fans out there, this disc is the one for you. This disc would be my least favorite and I say this lightly. The reason for this is only a preference, this by does not mean I do not like it. I do enjoy a variety of music but there are some I prefer over others. This disc consists of songs mostly in the Pop genre of music in which I tend to listen to less often. I will admit that I still found myself bobbing my head to some catchy tunes along the way and I definitely will listen to them several times. It definitely gives a more happy vibe over all, perfect for anyone who needs a little “happy boost” in their day. Especially the song “蛍火サテライト” that has IA singing in a cute voice instead of the more mature voice that most of us are used to hearing, although different, it is a welcome change to show off IA’s capabilities in many styles of music. Unlike the others, this one contains high-quality music videos of the songs “We gotta run”, “Setsuna Drive“, and “Inner Art”. If you are like me, music videos are as much part of the fun as the music itself. Most VOCALOID fans can admit that seeing them perform whether on a music video or on stage, or even having any sort of video/artwork definitely makes it a greater experience. More specifically, “We gotta run”, since not only do we see IA in this video but also highlights from the Super GT races — a perfect match for any IA and car lovers out there. Let’s be honest. What VOCALOID fan wouldn’t want to race a fast car featuring their favorite VOCALOID as visuals? It also showcases other aspect, such as their dancers. Don’t worry though. If you do not have the album, you can also watch it on 1st PLACE’s official YouTube channel! Of course, that isn’t everything. You didn’t think an album with so much content wouldn’t come with some goods, did you? 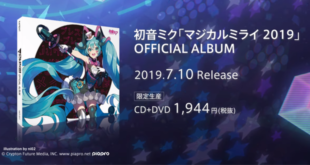 The album comes with four postcards included, a very nice booklet that includes the lyrics for each song (in Japanese), and information on the artists involved, including some of their social media accounts. So if you enjoy the producer, then you will be able to find them on places such as Twitter! Also in the booklet are some amazing artwork, as no booklet is complete without some beautiful artwork, in this case of IA. 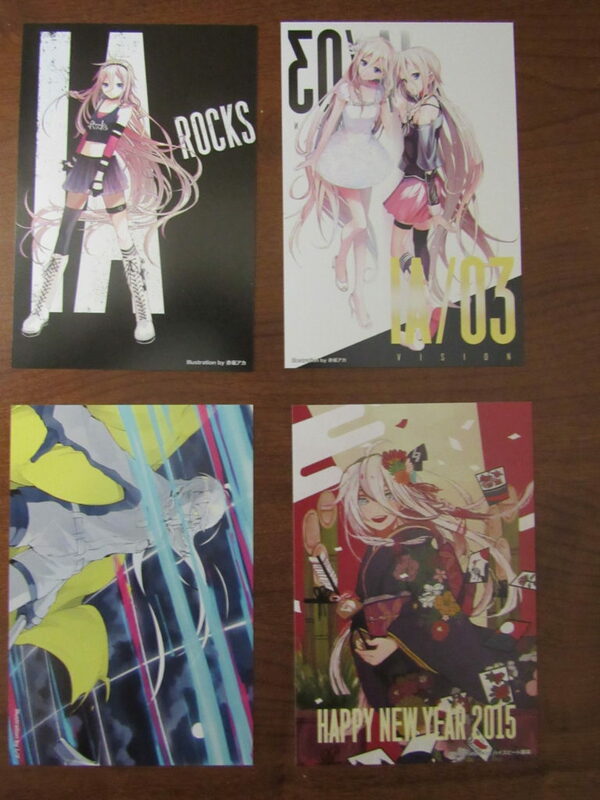 The DVD also includes a 30-day trial of IA ROCKS -ARIA ON THE PLANETES- as well as some short clips. To finish off, I was lucky enough to get Lia to sign the album for me! 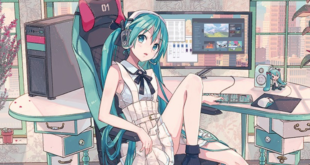 If we are going to talk about VOCALOID, we need to mention their voice provider as well. After all, they deserve recognition too, since without them, we would have no VOCALOID voice to enjoy. Lia is very much involved with IA and performs live shows with her, so it’s always great to see the two sing along together. This album comes with two CDs. It is a compilation CD after all — the more songs, the better! Let me begin by saying that if you don’t know Lia, not only is she the voice provider of IA and a singer, but also she is famous for singing songs in anime such as Clannad and the famous Angel Beats opening song, “My Soul, Your Beats!”, which also has a version of IA singing it. Of course, this is only to name a few, as she has many more on her list. 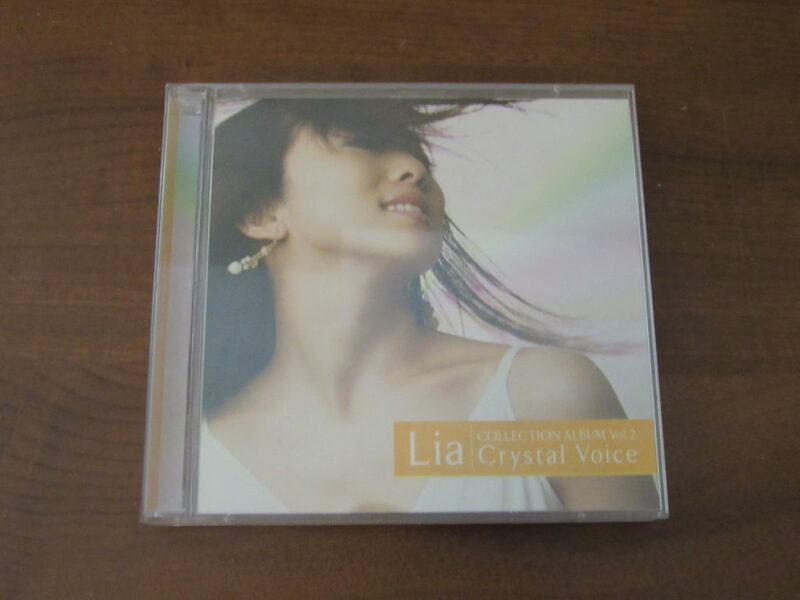 Now, if you like IA, then you will love Lia as well — after all, she is her voice provider. Lia sings some softer songs on this album, but overall, she has a very soft and beautiful voice, in which case the softer/slower songs are definitely a good combination. Before this album, I will admit that I had heard of Lia but not a lot of her songs, but after listening to these two CDs, I wish I had sooner. Her singing is wonderful and quite relaxing. Not only does she sing in Japanese on the albums but also in English as well! Actually, Lia is quite fluent in English and she can sing just as well in English as Japanese, so if listening to songs in Japanese is not your thing, you can also listen to her in English. I assure you that you will not be disappointed. If you feel like listening to some nice, calm, and soothing music, then I would say Lia and this album is definitely something I highly recommend. If anyone ever has a chance to go see her live whether it be with IA or Lia on her own, by all means, take the opportunity! Lastly, a special thanks to Lia for the signature on this one as well. 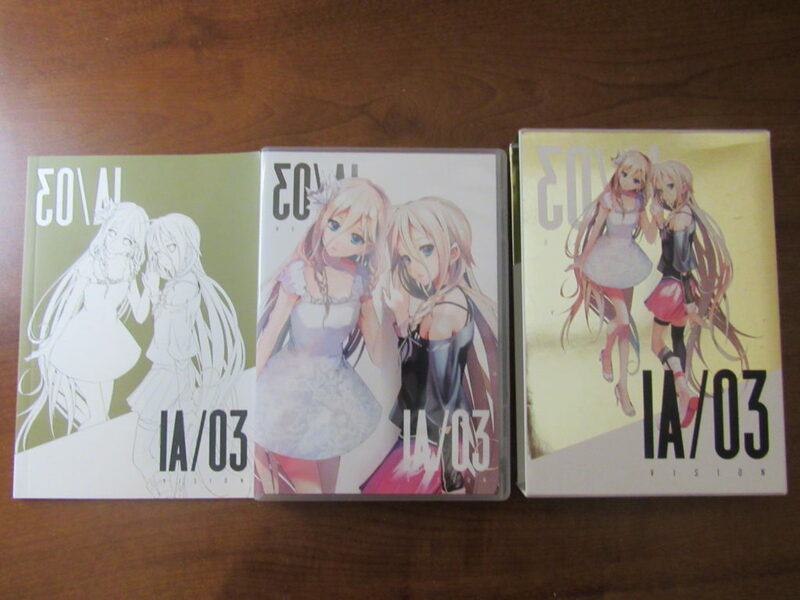 If you are a fan of IA, Lia, or both, then this is a perfect gift for yourself or even another fan. If you are not familiar with IA or Lia, and any of the above seems of interest to you, you should check out some of the songs on the album to have a feel for it. There is definitely something for everyone to enjoy. You can still purchase IA/03 Vision on CDJapan, Amazon, and probably other places. For the track list of Lia’s album, click here. 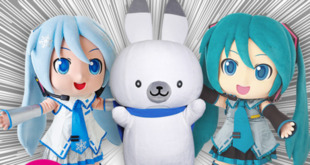 Next Aoki Lapis Will be Kakegawa Pop Culture Summit 2016’s Mascot!